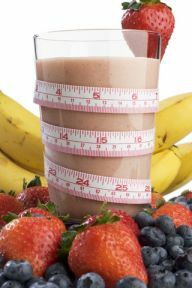 Weight loss smoothies that banish junk food cravings and energize your body! Weight loss smoothies have impacted my life in so many ways. I had gained 65 pounds from my first pregnancy on my "organic" processed food diet. My self-esteem and confidence was crumbling around me. My energy levels ran on low even though I am in my twenties. I remember when I was introduced to the concept of the green smoothie diet at a health food store. A lady was handing out free taste samples of these weight loss smoothies. I used to work at a smoothie bar and the thought of adding greens to smoothies had never occurred to me. It was two years ago when I discovered this amazing drink, and I have had one every day since. Only 2-3 months after starting my daily habit of the green smoothie, people started to comment on how “radiant” my skin looked and asked how I was losing weight. Soon, I had to make a printout of tips and smoothie recipes for weight loss and energy to give out to friends and family. I didn’t want them to miss out on such a simple concept. Not long after that, I started teaching health classes on how to make smoothies. Many of my friends are regularly making smoothies. We have all seen a difference in our health. I do not crave salty and sweet things like I used too. I feel like the chains of my cravings were released with the key of smoothies. I have lost over 45 pounds and gained soaring levels of energy. I have a better outlook on life. I now prefer to go for a walk instead of watching TV with a bag of chips by my side. My passion has grown so much for this simple concept that I built this website. I want you to feel the freedom that I am experiencing. In February of ‘09, I had my second son. Thank goodness I can say that I didn’t gain 65 pounds this time around. I gained only 16 pounds. I lost all of that on delivery day. Even though I didn’t gain a lot of weight, my 9 pound newborn was not lacking in that area. By 6 weeks post-partum, I was 6 pounds under my pre-pregnancy weight! I was not starving myself either. The green smoothies give me so many different nutrients that my body just doesn’t crave the junk. Click here to learn how the amazing green smoothie can change your life.